Steve and Trena Jones are both committed to serving the Lord by preaching and teaching the life of faith through love in every way that God provides. They are committed to seeking the Word of God for truth and guidance for everyday living and desire to help others do the same. Steve was raised in a pastor’s home and became aware of the call of God on his life at the age of 17 when a man of God pointed his finger at Steve and said, “Son, preach every chance you get!” The power of God was behind every word of that statement! In 2002 the mission of this ministry became even more clearly defined as God directed him to delve deeper into the Word of God and be Spirit-led in all areas of life. Every day Steve learned more and more of what was in the Word and how much love was at the foundation of the message it held. In the Fall of 2008 he was given one of the greatest challenges to exhibit love and forgiveness following the tragic death of his spouse and mother to his daughter. With a strength that comes only from God, he stood in a courtroom and conveyed forgiveness. Steve continued on the path God had set him on and did not let circumstances shake the foundation of his faith. He remained faithful as did God. Steve was reunited with his childhood love – Trena. They had met while Steve’s father was pastoring the church she grew up in and began the on-again/off-again relationship of young teens. They were each other’s first “love”. Through a silly misunderstanding they went separate ways and would travel different paths for over 30 years. Trena was raised in a Christian home by amazing parents. After high school she attended a Jr. Bible College, earning an A.A. degree in Business Administration and was in ministry in many various areas for 25 years. She has been blessed with 3 wonderful children and an adorable granddaughter. Life and circumstances led to a life of bitterness and anger toward God. After feeling a strong drawing from the Holy Spirit Trena repented and committed to live for God “no matter what”. This led to a difficult time in which she thought the rest of her days would be spent alone. How wrong she was. God brought Steve back into her life and after a time of reconnecting they married and are fully committed to serving the Lord in all areas of their lives. 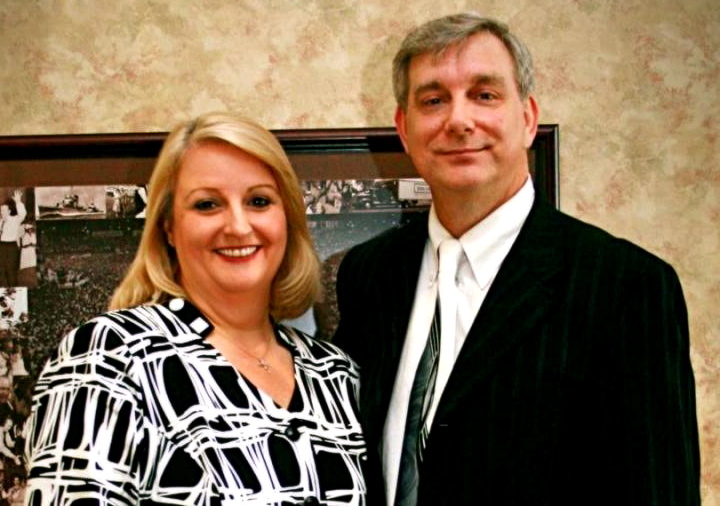 Steve and Trena have most recently served at Schambach Ministries – Steve as Associate Pastor of Power & Praise Church (founded on the campus of Schambach Ministries by RW Schambach) and Trena as Women’s Ministry Director and leadership staff of the Ministry. After months of seeking the Lord’s will and guidance it was clear that the time was right to move into a ministry of their own resulting in Faith Through Love Ministries. Faith Through Love Ministries exists to preach and teach the life of faith through love in every way God provides.